Are you a retailer planning to leverage proximity marketing, but are caught in the wind between Eddystone and iBeacon? Are you excited about the potential that Eddystone beacons hold with respect to app-liberation, yet held back by the lack of any serious Eddystone deployments? Has Apple’s presence as the forerunner in the beacon market with iBeacon technology got you wondering about the capabilities of Google’s Eddystone? Fret not, for you are not alone! 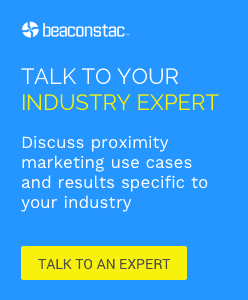 Most marketers looking to leverage beacons have been struggling to choose between iBeacon and Eddystone. Especially after Google’s recent announcement on Eddystone support for Chrome browser on Android. 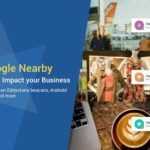 With Android accounting for almost 80% of the smartphone market, this release was hailed by many marketers as something that is poised to be a game changer in the proximity marketing industry. On the other hand, Apple is rumoured to spice things up on the iBeacon side with the launch of its indoor location strategy which is a handset based location technology that leverages a combination of Wi-Fi, beacons and sensor fusion. And this has lead quite a few business insiders to believe that, iBeacon format, irrespective of whether it develops any further or not, will continue to be the number one beacon technology in 2016. Which brings us back to the one question that would have already crossed the mind of retailers looking to leverage beacons for their business – Will Eddystone finally beat iBeacon at its game in 2016? In our upcoming webinar – ‘Will Eddystone take on iBeacon in 2016?’, we will discuss this and many more such questions around how do iBeacon and Eddystone measure up against each other. 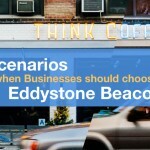 – Which beacon format should your business opt for? – What does 2016 hold for iBeacon and Eddystone? – Which beacon format will lead the pack in 2016? Update: This webinar has ended. You can check out the slide deck and the recording to learn more about some of the very interesting questions that we had received from our attendees.